From ethereal elf doors to fabulous farm stands, check out farm events highlighting the Island's agricultural heritage, music scene, Mediterranean climate and of course, celebrate Mom and Victoria Day in the heart of the Gulf Islands. Experience the magic for yourself on Salt Spring Island in May! 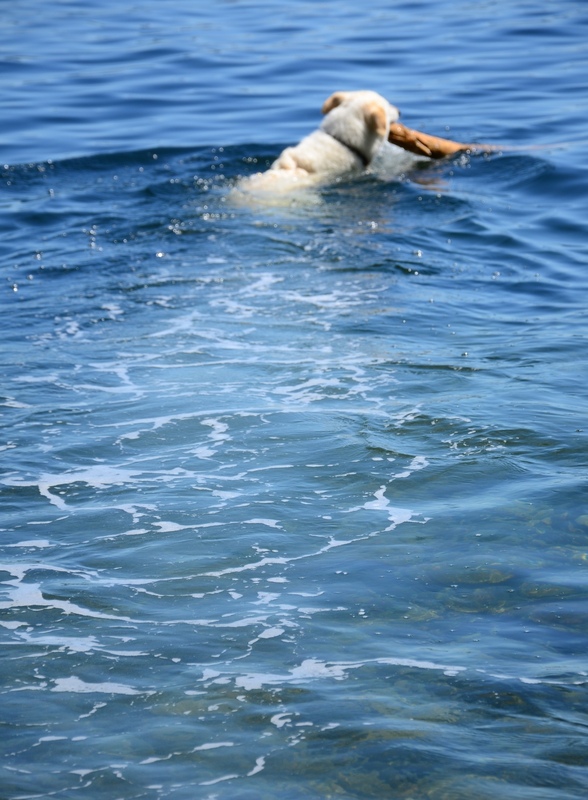 May 2018 Events on Salt Spring Island! May is planting time! For lots of garden goodies - visit the Chorus Frog Farmstand (263 Rainbow Road) for all sorts of plant starts including lettuce, greens, cabbage, broccoli, tomatoes and more! Looking for more? Head up the road to Foxglove Farm & Garden for seeds, starts and more or, take a drive down to the north end of the Island and visit Fraser's Thimble Farm with over three acres of plants, shrubs and trees to make your garden the envy ofVetta Presents Ludwig and Friends the neighbourhood! Experience a garden lover's paradise! Salt Spring Island bursts into kaleidoscope of colour in May with Wisteria (see an amazing display at Salt Spring Island Cheese) and Laburnum as well as wild Orchids (including the rare Phantom Orchard! ), Camas Lilies, Foxgloves, Trilliums and Fawn Lilies to name a few! Vetta Presents: Ludwig and Friends | Wednesday 2nd | 7:30pm to 9:00pm | Artspring: 100 Jackson Avenue | $5-$20 | Last season we opened with an all Beethoven program with Jane Coop on piano. We just had to ask her back for more! Enjoy the delights of Debussy, the melodies of Mendelssohn and the nobility of the Archduke performed by three of the best chamber musicians in the West. Ruckle Heritage Farm Day | Date TBA | 10:00am to 3:00pm | Ruckle Farm: 1801 Beaver Point Road | Enjoy a touch of history at the farm event of the season - Ruckle Heritage Farm Day! Check out butter churning, blacksmithing, spinners & weavers, quilters, log sawing, sheep herding, animal displays, entertainment and more! Pitchfork Social: Justin Townes Earle | Saturday 6th | 7:30pm to 10:30pm | Bullock Lake Farm: 360 Upper Ganges Road | $40 | Born in Nashville in 1982, Justin Townes Earle grew up as the son of country-rock iconoclast Steve Earle, who gave him his middle name in honor of the great Texas songwriter Townes Van Zandt. Since launching his recording career a decade ago, he has established a reputation as a singular leading light in the Americana music community. With fearless, personally charged lyrical insight and infectious melodic craftsmanship, the young veteran singer-songwriter has built a rich, personally charged body of work. Salt Spring Concert Band: Music of the Spheres | Friday 11th | 7:30pm to 9:00pm | Artspring: 100 Jackson Avenue | $5-$20 | Music of the Spheres is a musical celebration of planets and stars presented by Salt Spring Concert Band. The idea arose from our desire to perform Jupiter and Mars by Holst. Experience a wide range of music that takes you on a journey through space and time. Pitchfork Social: Pharis & Jason Romero | Sunday 12th | 7:30pm to 10:30pm | Bullock Lake Farm: 360 Upper Ganges Road | $25 | Singing vibrant duets, writing deadly songs, playing handmade banjos and loving old acoustic guitars, Juno award wining duo Pharis and Jason Romero have a classic story. When some scratchy old records and a custom banjo led to their meeting in 2007, they quickly knew they were in for the long haul. They've since released five records - three as a duo - and toured across North America and the UK. Mother’s Day Flower Workshop | Saturday 12th & Sunday 13th | 12th: 10:00am to 12:30pm; 13th: 12:00/1:00pm to 3:30pm | Alchemy Farm: 181 Furness Road | $95 | Bring the special lady in your life to a Mother’s Day flower workshop at Alchemy Farm. These small, intimate, hands-on floral workshops begin with a private tour of flower gardens with award-winning environmental artist and floral artist, Ingrid Koivukangas. A special picnic-style lunch catered by Lulu’s Apron is included. 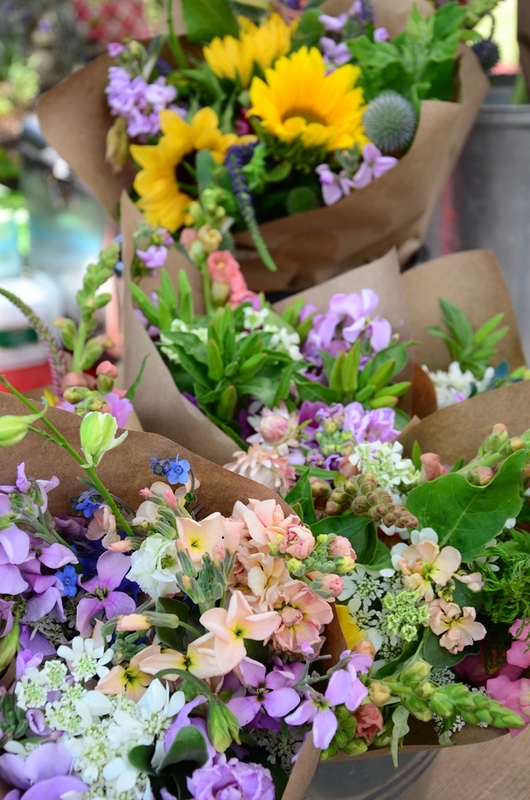 You will have the opportunity to harvest some of your own flowers to work with in the Studio, where Ingrid will demonstrate how she makes her signature Mason Jar Posies. You’ll then get to make your own Posy to take home with you. Celebrate Mom on Mothers Day (May 13th) with a meal at one of the many wonderful restaurants on Salt Spring Island. Pick out your favourite stops along the Studio Tour or comb the Island's many beaches while enjoying the company of family! Constantinople | Monday 14th | 7:30pm to 9:00pm | Artspring: 100 Jackson Avenue | $5-$30 | While looking for an ensemble who could bridge western classical with eastern traditions we found this inspiring, lyrical and enchanting group of talented musicians. Constantinople has earned an international reputation for its unique juxtaposition of early musical sources and the living traditions of the Middle East. Over the past decade, the group has developed over 35 new works and performances in nearly 132 cities in 25 countries. Round Saltspring Race | Friday 18th to Sunday 20th | Race Start (Saturday): 10:00am | Boats take off from Ganges Harbor | Cheer on participants of the best regatta on the coast as over 120 boats race around Salt Spring Island! Because the course offers unique challenges such as tidal currents and variable conditions, it’s a great test of skill, tactics, seamanship, navigation and sailing ability. It's beach season! Watch the Round Saltspring Race from several beachside vantage points including Price Road Beach and Arbutus Beach! 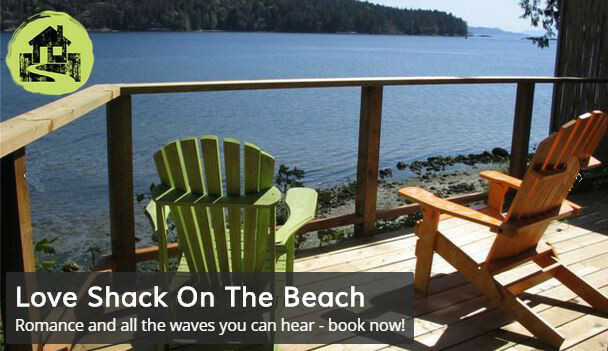 Make the most of the May Long Weekend (May 19th to 21st) and head over to Salt Spring for the Victoria Day long weekend - check out our list of Salt Spring Island Accommodations for the perfect place to relax! Spring Harvest Dinner at Bullock Lake Farm | Saturday 19th | 5:45pm | Bullock Lake Farm: 360 Upper Ganges Road | $75 + Drinks | Support the local abattoir and enjoy a delicious meal in a picturesque setting, made from all local handcrafted ingredients. Featuring Night Owl Farm’s beef (veggie options available) and prepared by Bullock Lake’s chef in residence Julian Obererlacher. Jasper Wood | Monday 24th | 7:30pm to 9:00pm | Artspring: 100 Jackson Avenue | $5-$30 | A Canadian violinist, Jasper Wood has established a flourishing reputation as a soloist through his frequent performances with many of North America’s finest orchestras, having also garnered acclaim for his dazzling performances as a recitalist and chamber musician. Wood is Associate Professor of violin and chamber music at the University of British Columbia. Bring your binoculars and enjoy some superb bird-watching! Rufous Hummingbirds are busy doing their impressive high speed J-dives to claim a mate. The Violet-Green Swallows have returned. Bright yellow American Goldfinches are here and the Nuthatches, Woodpeckers and other feathered friends are busy foraging for their young broods. Elfin magic abounds along the network of trails crisscrossing Mount Erskine - whether hunting for the perfect view or searching for the heart of Salt Spring's tall tales, there is nothing better than a brisk hike up one of the Island's most iconic mountains. Be sure to check out the Salt Spring Island's famous Saturday Market - On every Saturday for fresh produce, yummy treats and artisan gifts! Be sure to enjoy the fun atmosphere with buskers, food and more in the heart of Ganges.